Hawk moths are massive moths that can be colourful and are very interesting to see. They all have equally big caterpillars that have spikes on their tales and that eat a wide variety of garden and wild plants, though different species have specific food-plants. If we want to see these moths in our gardens we need to grow the flowers the adults like to feed from and the plants their caterpillars will feed on. 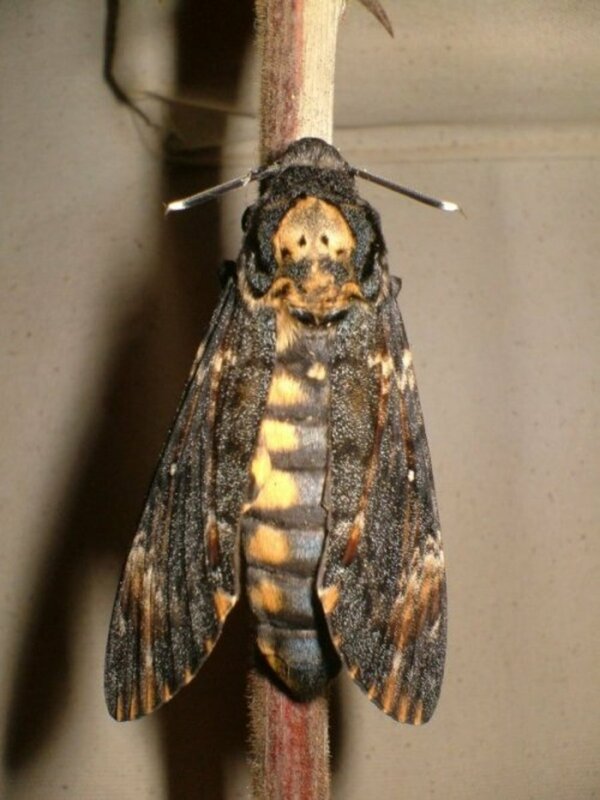 At least one type of hawk moth, the Death’s Head Hawk Moth (Acherontia atropos) is even the subject of superstitions. It is a really strange insect that can actually squeak and it has curious marking on its thorax that looks like a human skull. It has a short proboscis and lives on tree sap and honey it steals from beehives. Many other types of hawk moth have very long tongues with which they can probe funnel-shaped flowers as they seek the nectar within. This spectacular moth has a wingspan of up to 5 inches and a thick furry body that is striped and could even be likened to the ribs of a skeleton below the skull above. It has been regarded as a creature of ill omen and because of this it was chosen to be represented in the publicity materials for the blockbuster chiller Silence of the Lambs, starring Sir Anthony Hopkins and Jodie Fisher. In the UK it is a very rare species and reaches the country as a migrant. It also is found throughout Europe and down into North Africa and the Canary Islands. The huge caterpillars of this moth are as big as a man’s finger and come in three colours. There are yellow, green and brown varieties. The yellow and green types have conspicuous stripes on the sides of their bodies too. They can make a clicking noise if disturbed. These caterpillars feed on a very wide variety of plants, shrubs and at least one tree. 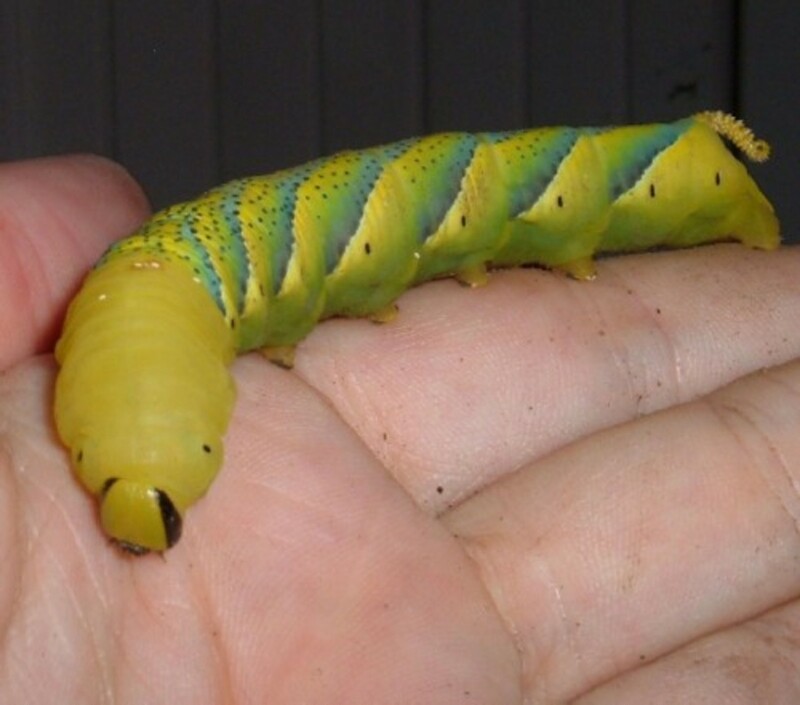 Death’s Head Hawk Moth larvae will eat potato plants as well as many other species in the Solanaceae, such as the Thornapple (Datura stramonium). In Britain they have been found on Woody Nightshade (Solanum dulcamara). 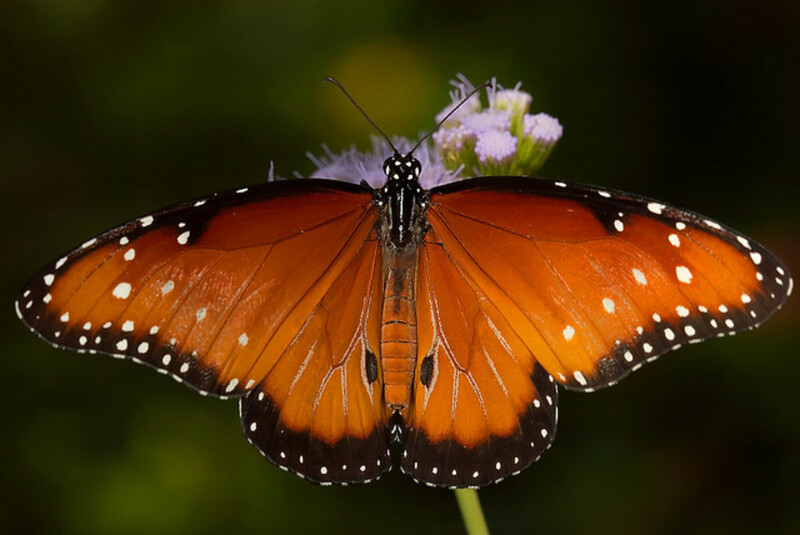 They can also be found on plants in the Verbena family (Verbenaceae), including the Lantana or Jamaican Mountain Sage (Lantana camara), a pretty shrub often grown in subtropical parts such as the Canary Islands. Species in the Bignoniacae, such as the Tulip Tree (Spathodea campanulata) are also said to be eaten by these caterpillars. If you live in any of the countries within its range then growing any of those plants might help attract the moth to your garden. On Tenerife they are mostly found on Daturas and on the Lantana so these are the species you should grow if you hope to see them. 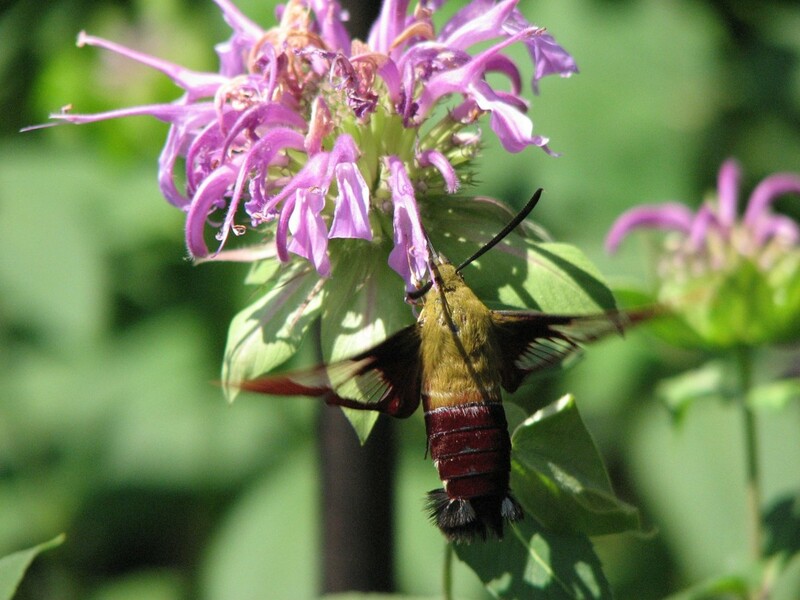 The Humming-bird Hawk Moth (Macroglossa stellatarum) is an amazing moth that hovers in front of flowers it is feeding from and uses its very long proboscis to probe the blooms for nectar. It is not as big as most species of hawk moth and it has a broad furry body that is brownish like its front wings. Because of its quick movements and hovering ability it is often mistaken for a hummingbird and hence its name. The Humming-bird Hawk Moth is found as a UK migrant and quite plentiful some years but not so in others. It is also found throughout Europe and Asia. 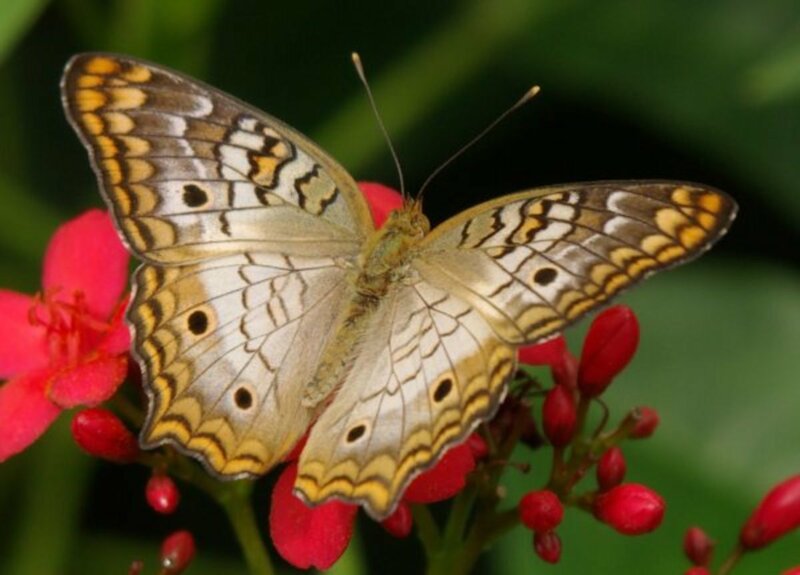 It is a day-flying moth, which also adds to why people think it is a hummingbird and it will feed from most flowers, although it seems to prefer Jasmine species (Jasminum), as well as Tobacco Plants (Nicotiana affinis). Several other hawk moths like to feed from Tobacco plants too so this is a good species to grow to attract the adults, as are Petunias. The caterpillar of the Humming-bird Hawk Moth mainly feeds on Bedstraw species such as The Ladies’ Bedstraw (Galium verum) and on Madder (Rubia). 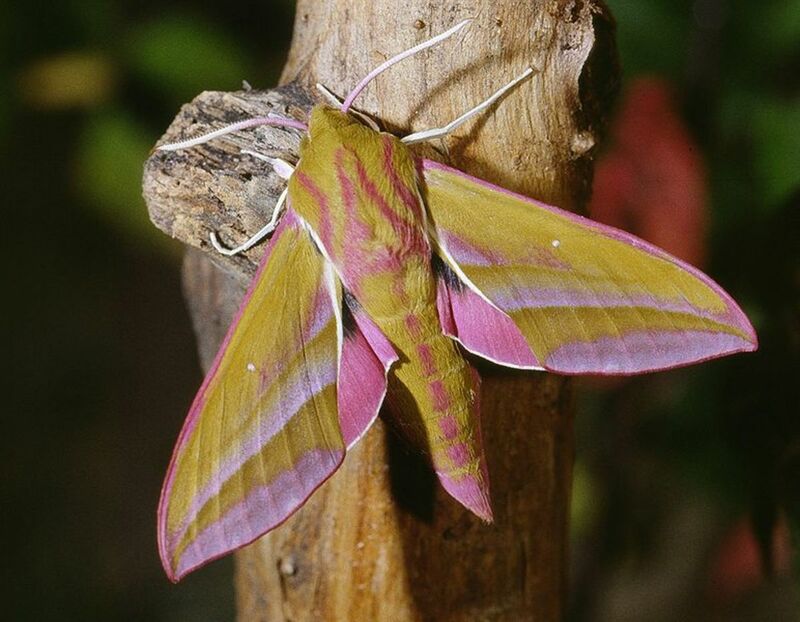 The Large Elephant Hawk Moth (Deilephila elpenor) is a British and European moth that has caterpillars which are far more often seen than the adult moths. In fact, these strange looking moth larvae even get into the news when someone finds one and has no idea what it is. The large larvae which can be brown or, more rarely, green, have conspicuous eye-spots on their heads and look almost like small snakes to some people. The Elephant Hawk Moth adults are really attractive and have olive brown and rosy pink wings and dark-pink and olive bodies. The caterpillars feed on most species of Willowherb (Epilobium), and on Fuchsias and Virginia Creeper (Parthenocissus quinquefolia). They often live in gardens in the UK, although the adults are seldom seen. 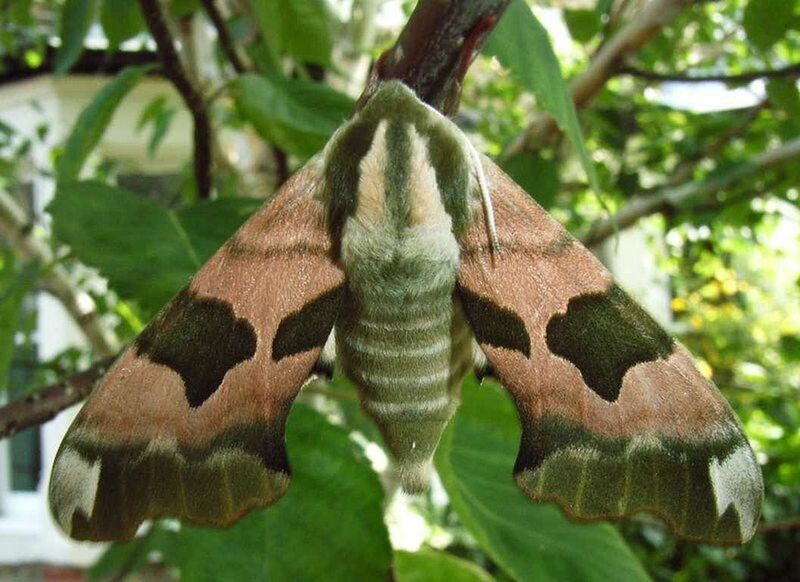 To attract this beautiful hawk moth simply grow its food plants where you live. Oleander Hawk moth and Caterpillar. The Poplar Hawk Moth (Lathoe populi) is a common British and European species with caterpillars that feed, as its name suggests, on Poplar trees (Populus spp.) They will also eat Sallow Willow (Salix caprea). They are green and feed in July, August and September. 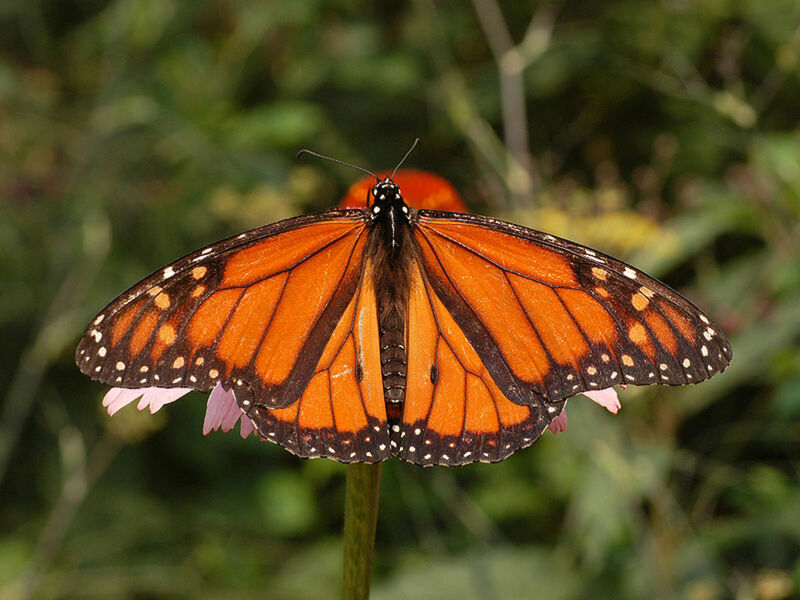 They pupate in the ground and adult moths emerge in May or June of the following year. The Poplar Hawk can be hybridised with the next species. 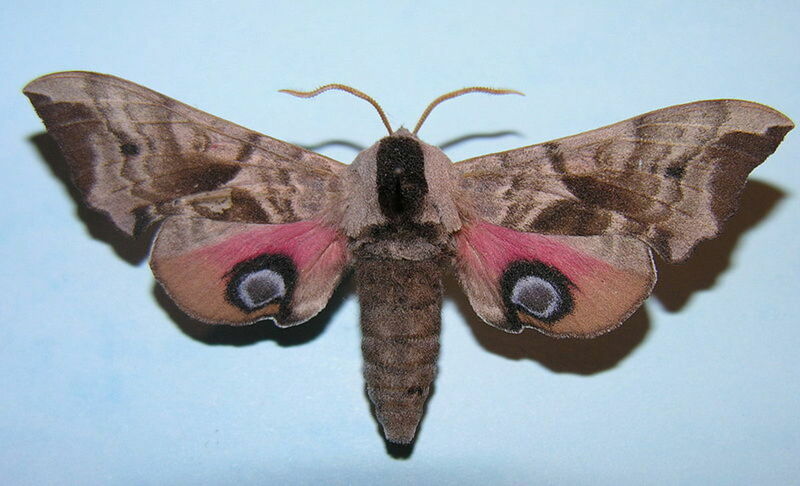 The Eyed Hawk Moth (Smerinthus ocellatus) is named because of its conspicuous eyespots on its hind-wings which are revealed when the moth is disturbed . It is widely distributed in the UK and Europe and the caterpillars feed on Poplars, Willows and Apple. To attract this moth simply grow any of these trees in your garden. I grew Sallow in my old garden in Ely in Cardiff and soon had hawk moth caterpillars on it. My father lives in the suburb of Llandaff and he has a Poplar that often has the larvae of the Poplar or Eyed Hawk moths on it. And finally, another vey common hawk moth found in Britain is the Lime Hawk (Mimas tiliae). This species has attractively coloured adult moths with wings that are patterned with greenish-olive, pinkish-grey or reddish-brown. The moth is common in towns and cities, though seldom seen, and the caterpillars feed on Lime trees (Tilia spp.) as the name suggests. If you have a very big garden, grow this tree, and you may end up with this attractive moth breeding on your land. Otherwise look out for the caterpillars in late summer and early autumn when they can often be seen crawling on pavements looking for earth to bury in to pupate. There are very many other species of hawk moths to be seen all around the world. Get a good moth book and find out what the ones in your area are. Grow the plants their caterpillars feed on and you may well find them in your garden. Thank you for your comments! I am not sure what type of hawk moths live where you are but I am sure there will be some species there. Very cool. My daughter would love to see these in our area. Interesting hub. Thank you for your comments, flashmakeit and minababe! 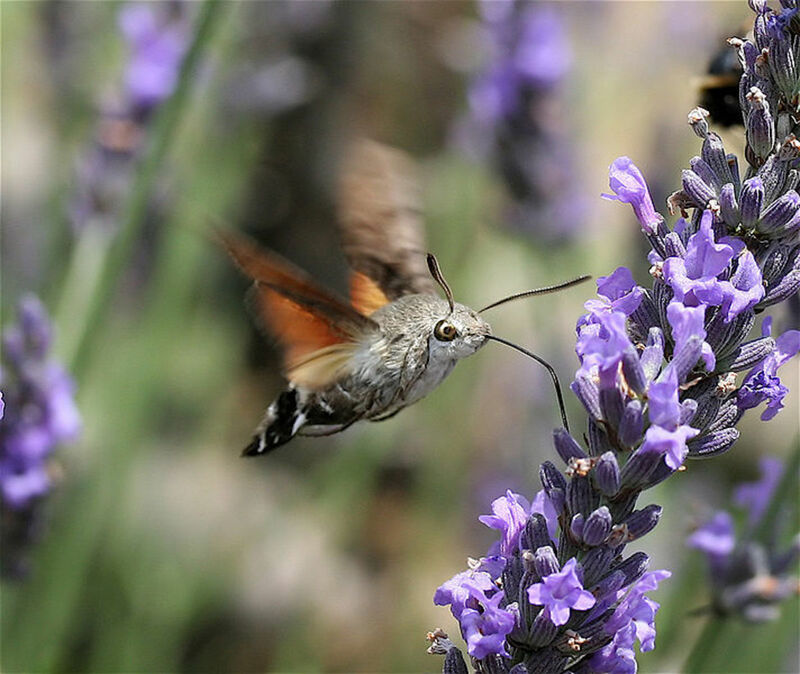 Wow, the Hummingbird Hawk Moth really does look like a hummingbird! I actually had to do a double take when I saw the photograph. I really enjoyed reading this article on how to attract hawk moths to your garden. I really liked the part about the humming-bird hawk moth.